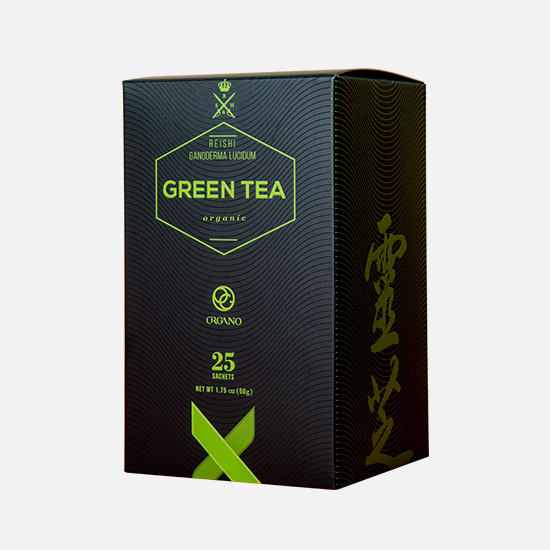 Organo™ Organic Green Tea is a mild tasting, yet power packed green tea that is combined with organic ganoderma lucidum for a double dose of flavour. It’s a tea you can enjoy hot or brewed and chilled for a cooling and refreshing drink. 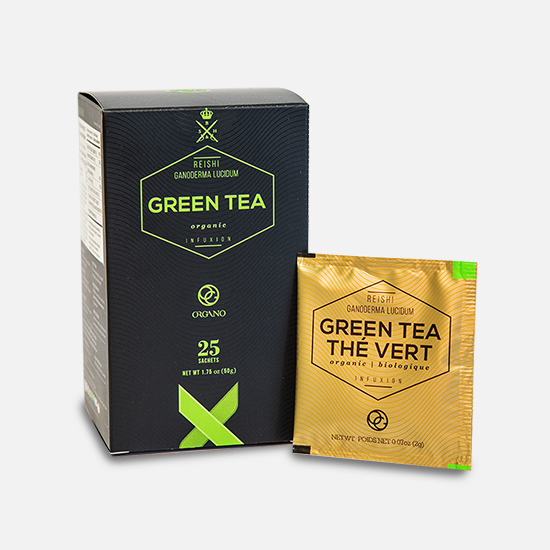 Organo™ Organic Green Tea combines the properties of green tea, with the prized ganoderma lucidum mushroom for a flavourful drink. 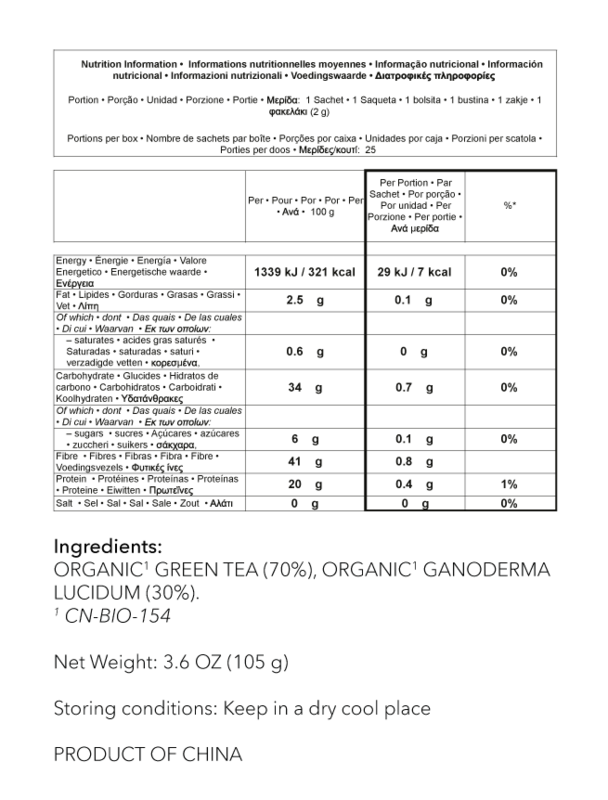 Organic Green Tea – Green tea is made from unfermented leaves. Tea is the most consumed beverage around the world, after water. Green tea uses the same tea leaves as black tea, except it does not go through the same processing, which helps to retain its green colour and flavour. Tea has been consumed for thousands of years, making it one of the oldest plant based beverages.